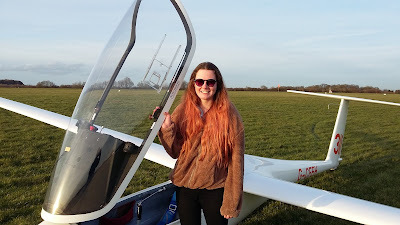 The sunshine on Friday made for a busy launchpoint with club members and visitors enjoying some early spring soaring. Friday saw a few achievements - James Giles had a busy day passing his Bronze GFT. Cadet Maddi Roberts had her first flight in a Pegasus and loved it, and Max Norfolk felt much the same about the LS7. Saturday was also sunny and soarable, with plenty more flying for those not attending Steve Williams' briefing on Navigation. 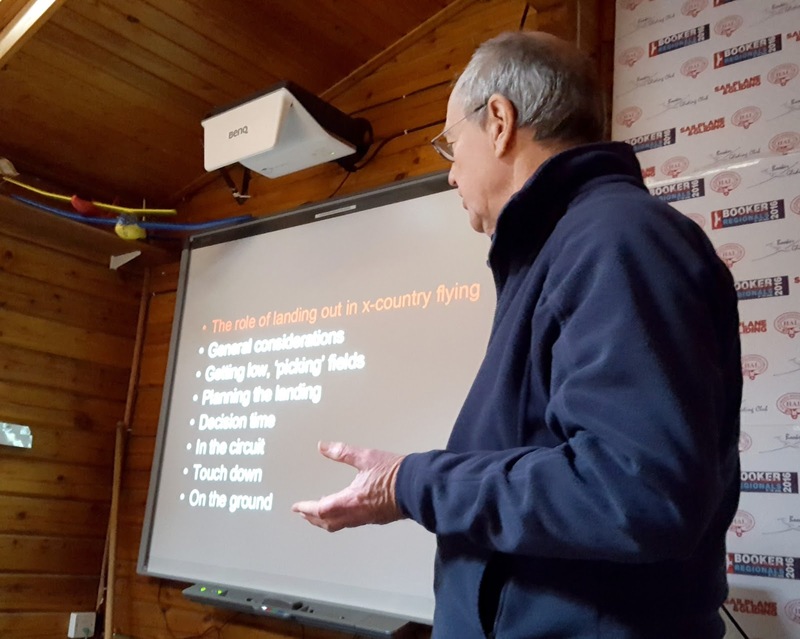 Today we had an excellent lecture from William Parker on Field Landings given to a packed lecture room. Lots of advice about making sensible decisions in good time, looking for big usable fields, working out the wind and assessing the surface from aloft. Good use of yet another wet Saturday.